Just a few weeks back, world celebrated the exit of “Giant Panda” from the list of extinct species. A group of experts has declared the giant panda as no longer endangered. Credit goes to the scientists, care takers and everyone involved in care taking. However, only a few knows how Kigurumi onesies helped scientists achieving their goals. After the efforts of half a century, the threatened animal is now set to live a prolific life in a protected wild life. Why do Scientists Wear Kigurumi as Care Takers? Kigurumi jumpsuits are not only a toddler costume. Neither do these rompers are meant for a snuggly Halloween only. These kigurumi PJs are serving a very serious purpose in Chinese zoo and research centers where caretakers and staff members responsible to monitor Giant Panda and cubs activities don Panda animal onesie. They wear Kigu rompers not because they want to look like a fluffy stuff toy but want to mimic the built of a mother panda. 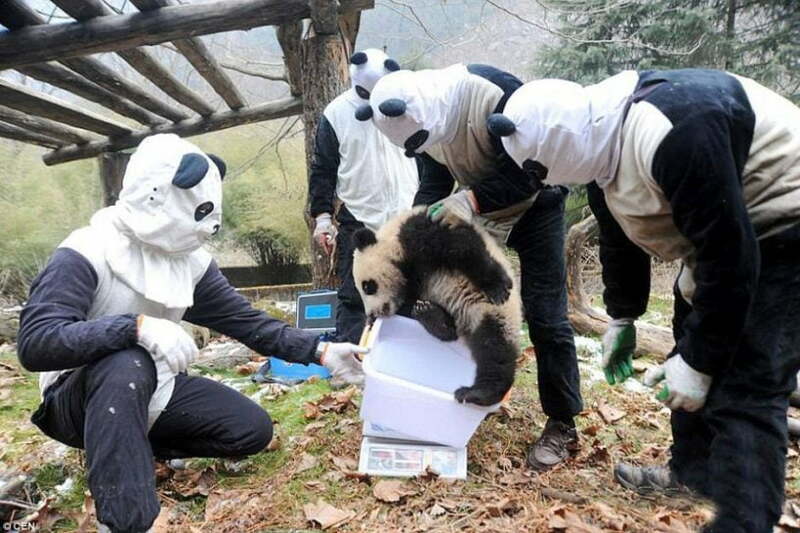 Wearing Panda animal onesie help these caretakers to develop an acquaintance with the wild animal. 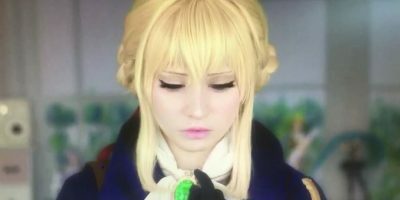 They also smear the panda kigurumi with Panda feces and urine to overpower the human smell. According to National Geographic; caregivers at the China Research and Conservation Center for the Giant Panda at the Wolong Nature Reserve in Sichuan Province, transform themselves into giant panda by hiding their own human skin; wearing a Kigurumi romper. This helps them coming closer to the wild life for the collection of valuable data & medical assessment. 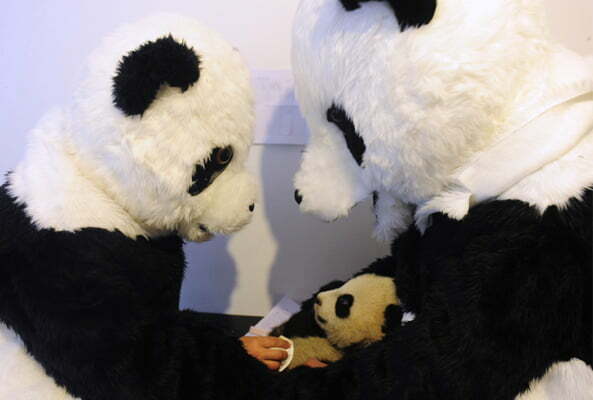 Wearing Panda suits, staff minimize animal stress & the risk of human attachment among cubs. Not only kigurumi panda outfits are helping the scientists but the entire animal range of the onesie serves to sustain the diversity of the eco system. From whooping cranes to crocodiles and bears, scientists impersonate themselves into the same animals by wearing animal outfits. Are you a member of Wildlife Conservation Society? You might want to get yourself a Panda onesie too. Available for only US$ 29.90 this Panda Kigu stays light on your body and is less of a nightmare that cheap and heavy panda outfits would cost you otherwise.